And Monsanto’s $80 million loss in a suit over claims that the weed killer Roundup causes cancer? 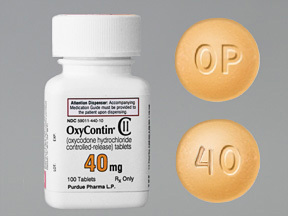 Purdue acted to settle state claims that the Sackler family-owned enterprise used dubious information, aggressive marketing, and tactics like flooding the state with pills to push excessive sales of its powerful painkiller OxyContin. The New York Times reported that “more than $100 million [of the settlement] will go to fund a new addiction treatment and research center at Oklahoma State University in Tulsa. The Sacklers, who were not named in the lawsuit, will contribute an additional $75 million over five years to the center … About $60 million of the settlement … will be set aside to reimburse the state for litigation costs, and $12.5 million will be given to municipalities and counties to address their costs for the epidemic. The package also includes $20 million in medicine for addiction treatment. Legal and public health experts say Oklahoma struck a good deal in a case that may presage how Big Pharma will fare in a blizzard of lawsuits filed against makers of potent and addictive painkillers that have killed more than 200,000 Americans over the last two decades, the newspaper said. Purdue and the Sacklers agreed to pay up more than they have before. But they already have forked over substantial judgements, including $600 million in fines and other costs in a criminal case involving OxyContin. Still, is this a tipping point in the long battle to get Big Pharma to accept responsibility and pay up some part of the wreckage caused by the nationwide opioid crisis? A judge in Ohio is trying not only to consolidate an array of federal opioid lawsuits but also to get state and local governments, Indian tribes, and others to reach a global settlement, as occurred with parties opposing Big Tobacco in court. The Oklahoma case, still active against defendant-makers Johnson and Johnson, as well as Teva, may open disputing parties’ eyes to the time, cost, and outcomes in opioid-related suits. 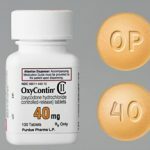 Purdue has been ripped in media investigations and by critics and parties that claim OxyContin caused costly addictions, injuries, and deaths. Company officials have pushed their drug internationally to open new and less regulated markets, while also publicly saying the business may seek bankruptcy protections due to the avalanche of suits naming it as a defendant. Such a move could add considerable delays, costs, and uncertainty to opioid lawsuits. Meantime, the Sacklers, who had promoted themselves as major, modern philanthropists akin to legendary families of yore, have seen elite, global museums shun their gifts due to the taint of the family’s opioid-derived wealth. With colleges and universities hyper-sensitive about donors’ histories, it will be interesting to see if medical schools, other academic institutions, and nonprofits wobble about Sackler gifts. It is a sign of the growing opprobrium for opioids and the Sacklers that Hildene Capital Management, a hedge fund, declined to deal with family money any longer. And the family’s personal stake in the opioid lawsuits keeps increasing, including with a new New York lawsuit in which state officials target them and assert the Sacklers diverted money from Purdue to themselves and sought to keep investigators from seeing their attempts to shield their increased wealth. Even as the Purdue settlement was announced, Bayer and Johnson and Johnson, two pharmaceutical giants, agreed to pay $775 million to resolve 25,000 lawsuits over Xarelto, the blood thinning drug they jointly sell. The companies, emphasizing they had prevailed in a half dozen or so suits that had gone to trial, said they hoped to avoid the strain and cost of continuing Xarelto battles. 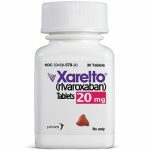 A new generation of blood thinners, including Xarelto, sought to replace the familiar and widely used drug warfarin. Patients given it also had to maintain strict diets and were told to undergo frequent blood testing—with newer medications touted as allowing them to skip these checks. In 2014 the German drug maker Boehringer Ingelheim agreed to pay $650 million to settle about 4,000 lawsuits over a similar drug, Pradaxa, which was also blamed in bleeding deaths and injuries. 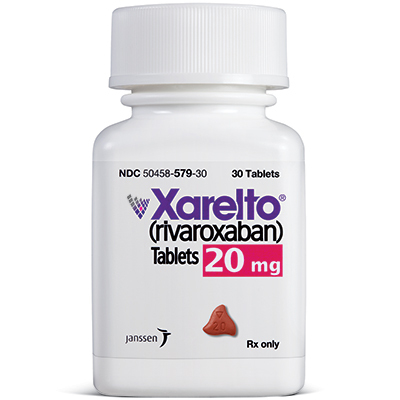 Xarelto, which is also known as rivaroxaban, was among Johnson & Johnson’s top-selling products in 2018, bringing in nearly $2.5 billion in revenues, although its sales fell slightly last year compared with 2017, according to its annual filings. It wasn’t easy or quick like scratching numbers to collect a lottery prize. But Joseph Thomas, who worked in Duke University’s pulmonary division, will be paid $33 million by the school for bringing down Erin Potts-Kant, another researcher who fabricated data linked to as much as $200 million in federal research grants. Thomas will be paid under a law that rewards whistleblowers who expose wrongdoing that costs Uncle Sam. 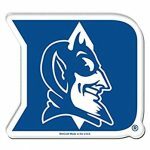 He collects a third of the $112.5 million that mostly will go to the federal government after Duke conceded that it used fake data to win tens of millions in research grants. The scandal started when the university asserted that Potts-Kant embezzled $25,000 from Duke for purchases she made at retailers, including Target and Amazon. She pleaded guilty to forgery and reimbursed Duke, where school officials put her work under scrutiny. 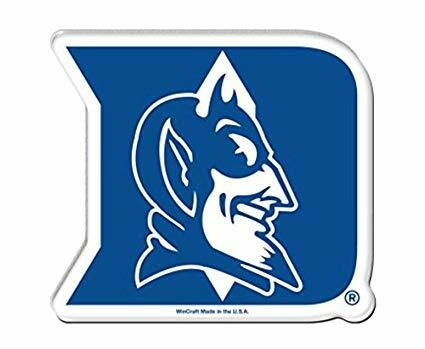 Duke learned that Potts-Kant fudged key data but officials at the school still submitted federal research grant applications based on it. Thomas sued the school and researchers. Five years later, and with Thomas represented by his brother, Duke settled. The university has been forced to make embarrassing disclosures, retract studies, and seek to remedy big concerns about ethical practices in its research. A federal jury has decided Monsanto must pay $80 million to a 70-year-old Californian who for almost three decades tried to keep down poison oak and other pesky plants on his property with glyphosate, a widely used weed killer and a key ingredient in the company’s popular product Roundup. Plaintiff Edwin Hardeman in 2015 was diagnosed with non-Hodgkin’s lymphoma and sued Monsanto after the World Health Organization deemed glyphosate a probable cause of cancer. Monsanto maintains its product is safe and introduced U.S. government studies to counter the WHO finding. It said the scientific research on glyphosate is complex and does not show what jurors found. They deliberated in two phases, first determining Roundup was a “substantial factor” in causing Hardeman’s cancer, then deciding what sums Monsanto might owe him. Monsanto faces thousands of Roundup-related suits. The San Francisco case was its second loss. 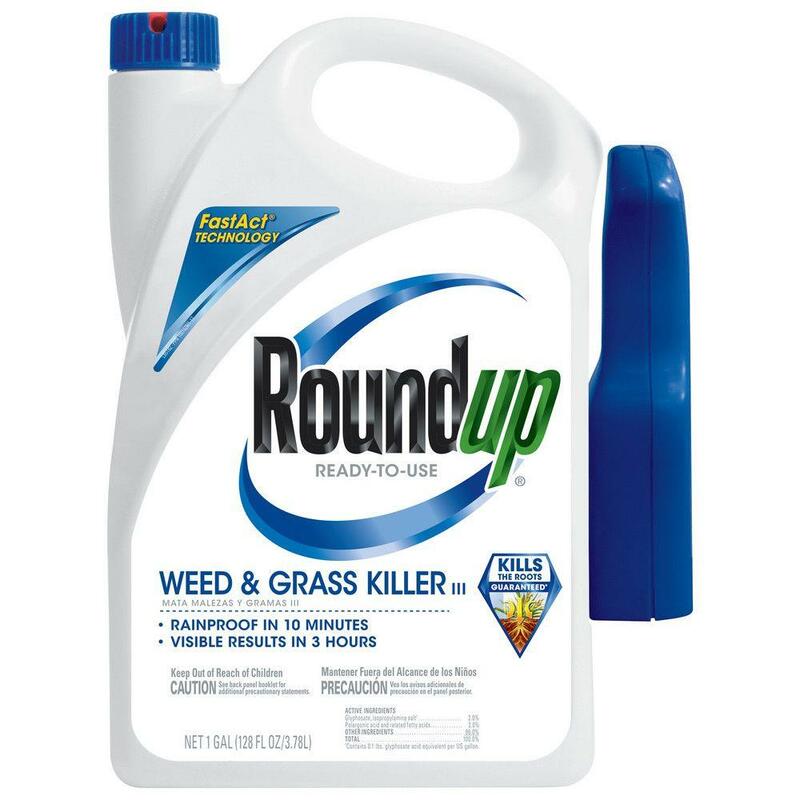 Earlier, another jury and judge in a state court, again in California, heard a similar suit by a groundskeeper who asserted his non-Hodgkin’s lymphoma was caused by prolonged Roundup exposure. 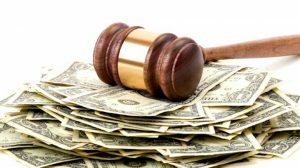 Jurors said the conglomerate should pay him $289 million in damages, a sum that the judge later ruled to be excessive and reduced to $78 million. In my practice, I see not only the harms that patients suffer while seeking medical services, I and my colleagues assist them through what can be the challenging process of getting what they are legally due in a complex and sometimes scary system. This list of case results here may seem long, and the sums involved are eyebrow raising. But they underscore how awash in cash are corporations and the health care system. Companies, especially Big Pharma enterprises, institutions (universities), and the wealthy push more than ever these days to maximize their profits and prestige. It takes formidable push back to sway them off what can be a damaging course. With opioids, many parties—including Big Pharma, doctors, hospitals, insurers, and others—fueled the crisis, and all of them and many more must act to cut its carnage. This includes federal regulators, lawmakers, and the Trump Administration. The opioid and overdose toll is matching or exceeding the terrible number of deaths in the 1990s Balkans wars. The world mobilized to end that tragic bloodshed. Yet the administration, more than half way through its term, keeps vacillating over strategy and tactics to combat the opioid crisis. The president, for example, talks up efforts to fight opioids even while slashing at how critical addiction and drug abuse services would be delivered by Medicaid and government-supported health insurance aka Obamacare. Of course, in the cases listed here, taxpayers must want to ask unanswered questions about the roles of those in oversight and regulatory capacities. David Kessler, the former federal Food and Drug Administration commissioner, has conceded he, the agency, and others in the Obama Administration made mistakes in failing to see the onrushing opioid crisis. But what is going on with the federal government reporting systems, so officials now can see emerging problems? Before regulators act, must thousands of suits be filed, such a crushing number, for example, that the opioid cases need to be occupy a federal judge in Ohio? Do more than 25,000 suits need to be filed before regulators act with a new kind of blood thinner, especially when the same agency already has ordered “black box” warnings on it and approves another medication to treat excess bleeding attributed to these products? Thousands of health-related suits are stacking up over not only Roundup but also talc, potentially tainted with cancer-causing asbestos: What kind of reliable guidance are consumers getting from taxpayer-funded government experts about the safety of these products? As for Duke, the university for a second time has proclaimed that it can ensure its medical-scientific research holds to the highest ethical standards and its staff maintain the top levels of personal and professional integrity. The university earlier muzzled another whistleblower over claims of problematic cancer research, then had to work through multiple malpractice lawsuits. The school also has been forced to retract studies in both instances, and concerns linger that other researchers have relied on bad work from Duke, which has been warned its federal grant applications will now receive heightened scrutiny. Two whistleblowers and a big mess that will take a long time to clean up? What reasonably might have happened much earlier if leaders had listened harder and acted faster? Money can talk, but it doesn’t always answer all the questions or solve completely problems surfaced.